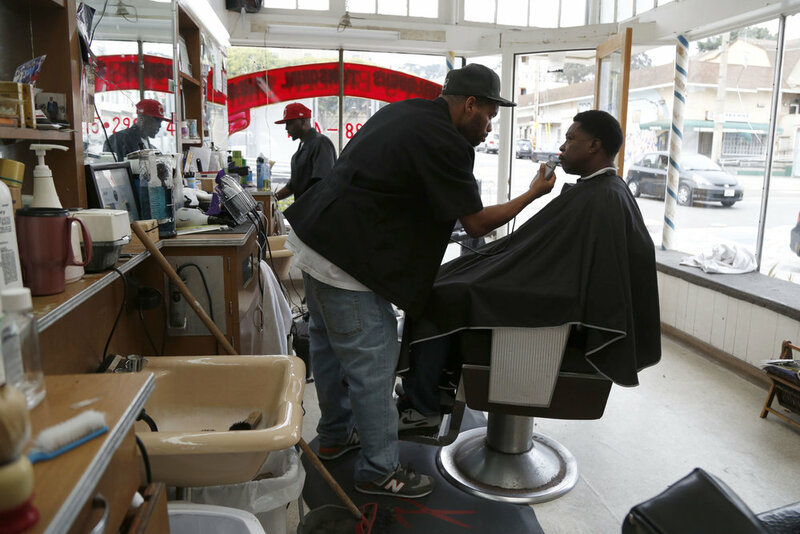 For 20 years, Lloyd Lacy, owner of Lacy’s Barber Shop at 101 Broad St. in San Francisco’s Ocean View neighborhood, has served about 15 customers a day, performing everything from tappers, bald fades and shaves. Before attending Moler Barber College in 1971 he had different careers. Lacy shares the barber shop with two others, Lania (LD) and Christopher Jones, (CJ). Lacy grew up in the neighborhood and has seen it change throughout the years.